Azure MedSpa on Legacy Dr. in Frisco is one of our oldest clients. The have over 100 #1 Search Engine results. This is their second website design by Seota – we want to update it by the client loves it and so do their customers. This responsive website focuses on showing quick links into popular services and a quick contact form. 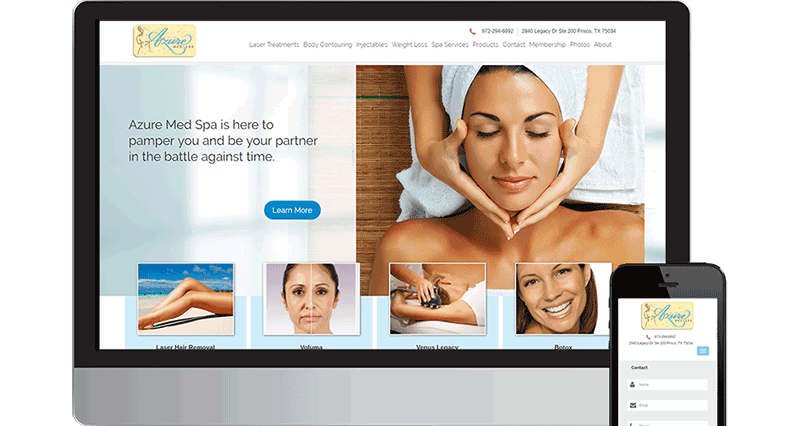 This website has a custom built WordPress Theme drawn in Photoshop and then sliced by our CSS experts. Built from the ground up for our clients satisfaction. 100% responsive with a customized mobile look and feel.